You can allow users to use integration with external services such as Microsoft Flow, Google Hangouts Chat, and Slack. OAuth is used for authentication. This ensures a secure connection with external services and other integrated services, without having to type in a login name or password for kintone.com. Microsoft Flow is a Web service that allows users to integrate with various services however they want, including Kintone, SharePoint, Dropbox, Slack, email, Excel, and so on. By using Microsoft Flow, its supported services can be integrated with Kintone. Data registered to Kintone can be reflected in the integrated services, and also data registered to the integrated services can be reflected in Kintone. Google Hangouts Chat is the enterprise chat service in Google’s “G Suite” groupware. By adding the Kintone bot in Google Hangouts Chat room and sending a message, you can create an app in Kintone and add records to an app. The bot can create three types of apps: “Inventory Management”, “Job Openings”, and “Candidate Management”. Chat messages in Kintone bot, help pages of the bot, and apps created by the bot are available in English only. Slack is an enterprise chat service. By integrating Slack with Kintone, you can send a notification using a Slack direct message to the person who has been set as the assignee of the task. This feature is useful when you manage tasks using a Kintone App and Slack. Under System Administration, click Integrations. Enable an Integration and click Set Allowed Users. In the Set Allowed Users screen, check users to allow them to use the integration service. You can filter users by selecting the department, or search users by using the search box. The configuration in Users & System Administration is now complete. Next, go to Microsoft Flow to configure the integration between Kintone and the Web service. In the account settings, the user can check which external services are connected and can disconnect from services. 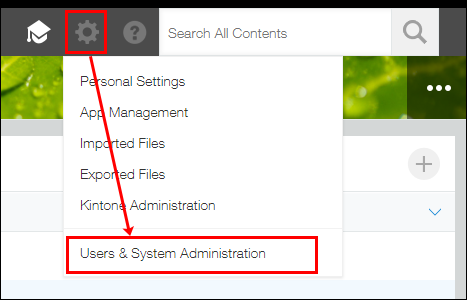 Administrators of Users & System Administration can confirm the integration services which are in use by the user from the Edit User screen. Ensure you are allowed to use Microsoft Flow. To allow access, see To Allow Use of Microsoft Flow to Connect in the section above. Ensure your IP configurations are allowed by Microsoft. See Limits and configuration in Microsoft Flow on the Microsoft website for a list of IP addresses. To configure the settings in Kintone, see Configuring IP Address Restrictions and Basic Authentication. Visit the Kintone Connector page of Microsoft Flow and sign in to your Microsoft account. Please note, Kintone is a Premium connector. You will be directed to enter your subdomain url. Enter it in the format xxxx.kintone.com and click Sign In. You will be directed to your subdomain and a dialog box will pop up that says Will you Allow Microsoft Flow to Perform the Following Actions. Click Allow. Next, connect to your app by entering the App ID. Then, follow the instructions to complete the trigger. For instructions on finding an App ID, see How to Find an App ID. When IP restrictions are enabled on your domain, the connecting service is not available. Allowing access from the IP addresses of Microsoft Flow enables the connecting service. For the list of IP addresses to allow, see Limits and cnfiguration in Microsoft Flow. For the IP restrictions setting, see Configuring IP Address Restrictions and Basic Authentication. The integrated services and Kintone need to be configured in the same data group of Microsoft Flow. Here you can learn all about data groups from Microsoft. For details on the integration between Kintone and Slack, see Integrating Slack with Kintone. Yes, the Integrations feature for Microsoft Flow is now available. How do I connect it to Microsoft Flow? When I search Flow for the Kintone Connector, it comes up blank. Oops! Just found out the Kintone Connector has not been published on Microsoft Flow yet. We've been told this should be published by the end of January. We'll let you know when this is live! Hi Larissa, thanks for your help so far! Is the connector live yet?